People begin using Afrin for one reason only; their nose is obstructed. Acute infections or allergy attacks cause swelling of the nasal membranes leading to a temporary obstruction. However, in those individuals who already have an underlying structural problem, such as a deviated septum, this can lead people to use – and overuse – Afrin spray. The nasal septum is the cartilage and bony midline partition wall in the nose separating the two breathing tunnels. If it is deviated or deformed, it can cause a permanent obstruction which narrows your nasal airway. This is what causes you to have obstructive symptoms. If the side wall tissues, known as the turbinates, become swollen with an infection or because of an allergic reaction, this can be the double whammy. Two or three days of taking Afrin spray (or other similar decongestant sprays) might be helpful in alleviating discomfort and mouth breathing. But, if you take it any longer than 2-3 days, you will experience a rebound effect which causes the tissues to swell more after the initial relief. This leads to more frequent need and usage of Afrin which can cause an addictive condition known as rhinitis medicamentosa. In most cases, the patients that I see with this problem have been overusing and abusing sprays for years! Treatment with detox nasal medicine followed by correction of the underlying nasal anatomical deformities may be necessary. 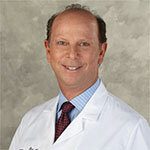 Alan S. Berger, M.D., is founder of BergerHenry ENT Specialty Group and is a leading specialist in the Delaware Valley for nasal and sinus disorders. Dr. Berger specializes in Otolaryngology and Facial, Plastic and Reconstructive Surgery.